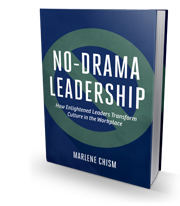 In No-Drama Leadership I introduce the Culture Framework Model that illustrates the four environmental influences upon which culture is shaped, formed and even transformed. 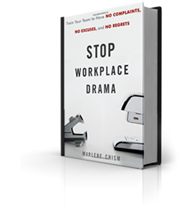 Get the book and read chapter 7 to see how leaders influence the internal physical environment and why employee drama is not always about the employees. 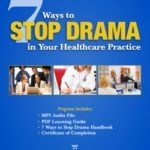 Let me give you a quick example of how we often miss the environmental clues, and instead, we offer the wrong solution to stop workplace drama. When I was a line worker, there were never enough chairs for all employees working the lines. As a result, some employees would sneak in early and steal a chair off of one of the other lines where other employees were then left to work without their chair. Needless to say, drama always erupted. The supervisor’s time was wasted listening to the finger pointing only to tell the employees they could find another job if they couldn’t get along. There are almost always three choices: You can blame the employees for being petty, you can send them to a conflict management seminar, or you can simply buy enough chairs for everyone to do their job in comfort. Leaders are part of the internal environment and they have the power to make decisions that ultimately affect productivity, engagement, and teamwork. Employees can be difficult, no doubt. But, when the fingers start pointing, it’s always an indicator that it’s also time to look at the environment and the leadership. If you need executive coaching to help you navigate through a difficult conversation, please give me a call at 1.888.434.9085 or email me here to set up a consulting time to help you master the particular language to navigate through this change with as much cooperation as possible.